According to data collated by Down Syndrome Australia, approximately 1 in 1,108 babies born in Australia has Down syndrome. I’m a producer for Feed Play Love, and I have a cousin, Joe, with Down syndrome. 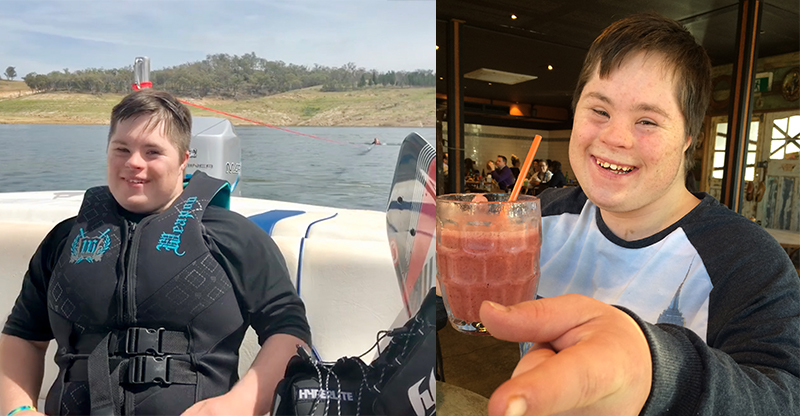 As World Down Syndrome Day rolls around for another year, I realised that while I have a fierce love for my cousin, I’ve never asked his parents about their experience as parents to a child with a disability. So I plucked up the courage and messaged my aunt, Maree, to see if she’d be open to talking with me for the show. Not only was she up for it, but she replied with gusto, excited to share her experience. We have always seen Joe as any other family member: one with hopes and dreams of his own. These very hopes and dreams are starting to be realised. Joe recently completed high school and is undertaking his Certificate II in Hospitality at TAFE. He also works jobs around his home town in regional New South Wales, Australia. 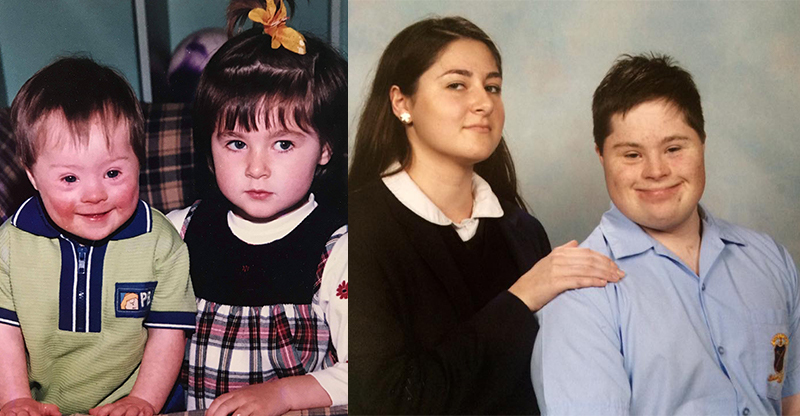 Joe Barnes with his older sister Tess; from babies to high school graduation. Because of the increased media attention around World Down Syndrome Day, Joe has been popping up in his local paper. Alongside mum Maree, they’re aiming to raise awareness around the need for adequate funding and training to help people navigate the National Disability Insurance Scheme (NDIS); a vital resource for parents and carers raising a child with Down syndrome and other disabilities. Joe loves to go wake-boarding with his family at a local dam. It took some perseverance, patience, and practice, but now he loves getting out on the water! Maree opens up about the challenges and joys of raising a child with Down syndrome, what she wants parents and carers everywhere to know and what she would tell herself 19 years ago in the delivery room when she discovered for the first time that she had a child with Down syndrome.